The Australian Institute of Applied Sciences (AIAS) is partnered with Endeavour College of Natural Health to provide students with outstanding quality qualifications both online and across Australia. With over 80 years' worth of combined experience and both in-class or online studying options, your career in health & wellbeing may be easier to achieve than you think. 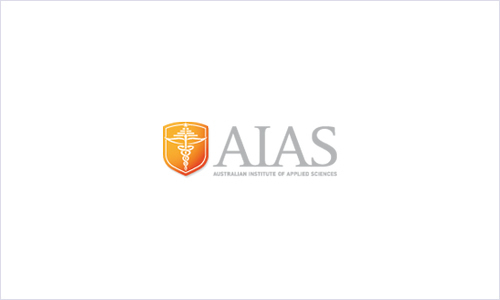 AIAS is a leader within the health and wellbeing industry. Being so, they have a great range of relevant courses on offer. If you're looking to study via online training, then you have five disciplines to choose from. You could choose to study Community Services & Counselling, Allied Health, Natural Medicine, Beauty Therapy, or Massage Therapy. All of AIAS's Vocational Education and Training (VET) online courses meet VET Quality Framework standards. They're also accredited by the Australian Skills Quality Authority so you can feel comfortable knowing that the education provided is far from sub-par. Another way that AIAS ensures a high standard of online education is by only hiring industry experienced and highly qualified teachers. Your online facilitator is available to help you via instant messages and e-mail to ensure that you receive the same amount of support as an in-class student. These teachers understand that studying while seeing to other commitments isn't always easy, but they're willing to provide the support needed to make things easier. AIAS believes that everyone should have access to education regardless of their financial situation. That's why they have flexible payment plans for courses that aren't covered by VET FEE-HELP. All courses offered by the Australian Institute of Applied Sciences are career-orientated, meaning that you'll be job-ready from the moment that you receive your qualification. AIAS has worked hard in securing and maintaining strong industry relations with employers from around Australia so that the process of finding a career post-graduation is easier for you.